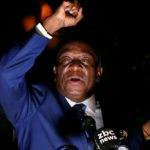 PRESIDENT Emmerson Mnangagwa sneaked out of the country late Sunday to neighbouring South Africa with government sources indicating he had gone for “medical checks”‘. Information minister Simon Khaya Moyo was not available for comment. Efforts to get comment from Mnangagwa’s spokesperson George Charamba also drew blanks. However New Zimbabwe has it on good authority that Mnangagwa had travelled for what has become regular checks since the controversial poison saga last year. Indeed late Sunday Mnangagwa’s motorcade was seen speeding in the direction of Robert Mugabe International Airport. As the Zanu PF internal power struggles threatened to engulf the country last year, Mnangagwa was airlifted to South Africa in August after falling sick while at a rally addressed by then President Robert Mugabe. Mugabe initially wanted then Vice-President Mnangagwa to conceal medical findings, fearing the issue would rock the boat in the ruling party, but the information somehow spilled into the public domain triggering further turmoil. The internal squabbles were later to boil over. Mnangagwa was sacked but returned mid-November to sweep to power after Mugabe had been deposed in a bloodless military coup. It emerged Mnangagwa fell sick shortly after ingesting an exotic toxin which is only available in Russia and Israel. Mugabe, according to insiders, did not want the embarrassment of having issues around the poisoning addressed in public, hence, the “gentlemen’s understanding” with Mnangagwa that a “certain narrative” be put out to the public. Official communication initially claimed Mnangagwa had been taken ill after eating “bad food”. 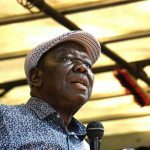 Mugabe told a rally in Gweru on September 1 attended by a dazed Mnangagwa that the then VP had not taken “poisoned ice cream” as whispers in the party insinuated. The former a Zanu PF leader was also angry that Mnangagwa’s supporters at the time were claiming the ice-cream had come from his Gushungo Dairies. “It was not food poisoning, no! The doctor said they tested his blood, but failed to find any traces of food poisoning. They tested for traces of poisoning caused by stale food because stale foods have different kinds of poison and there was none of that,” Mugabe told party supporters. 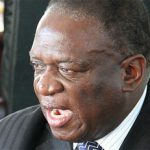 Mnangagwa, however, backtracked on his agreement with the President after Mugabe seemed to attack him in public and allowing leading figures in the Zanu PF G40 faction to abuse him. While he was Acting President, then second Vice President Phelekezela Mphoko rubbished Mnangagwa’s claims that he had been poisoned triggering the angry rebuke “you are not my doctor”. 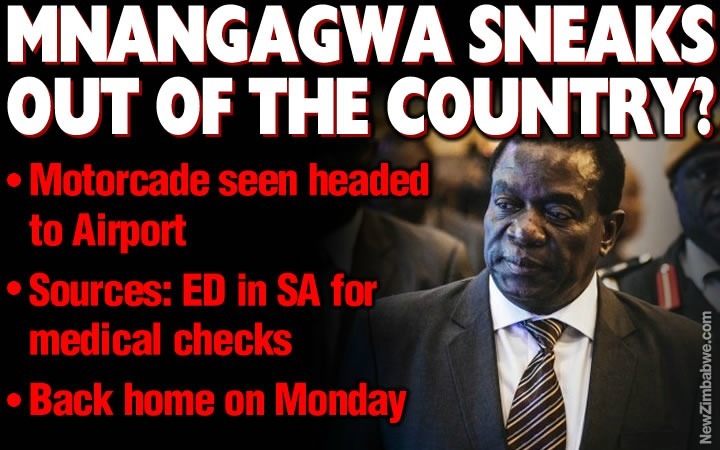 In January, Mnangagwa also sneaked out to South Africa through Manyame Airbase and was to reveal days later, on a trip to Angola, that doctors had told him that poison was now undetectable in his body.